If you still have retinas after blasting them with repeated 4K viewings of The Last Jedi, Marvel’s Doctor Aprha #18 is a lot of fun. I wouldn’t quite say that Doctor Aphra is in over her head, but she’s sure juggling a lot of stuff. Now she has one of the Rebellion’s most skilled generals – Hera Syndulla herself (!) – who was taken in a rather impromptu kidnapping from a Rebel flight school. They are headed to a deep space Imperial data center, Hive-1, where the late Governor Tarkin sequestered all the research and development of his worst technological terrors. What could go wrong? SPOILERS AHEAD…. Whatever your opinions of Aphra and her band of scoundrels, they are becoming more tight knit, with the good doctor serving as matriarch to the strange, sort-of family. Above, she’s helping Caysin with some minor repairs on his cybernetic attachments. 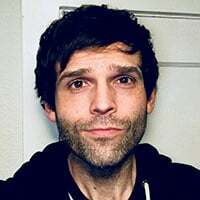 We get to learn a bit more about the relationship between Caysin and Posla’s relationship. They met on Jedha and became romantically involved due to the hunt for a notorious doctor who cruelly transforms lifeforms into cyborgs and sells them into slavery. 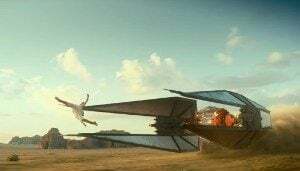 Caysin was one of the man’s victims, while Posla showed up on Jedha looking for the man, and the two found each other. 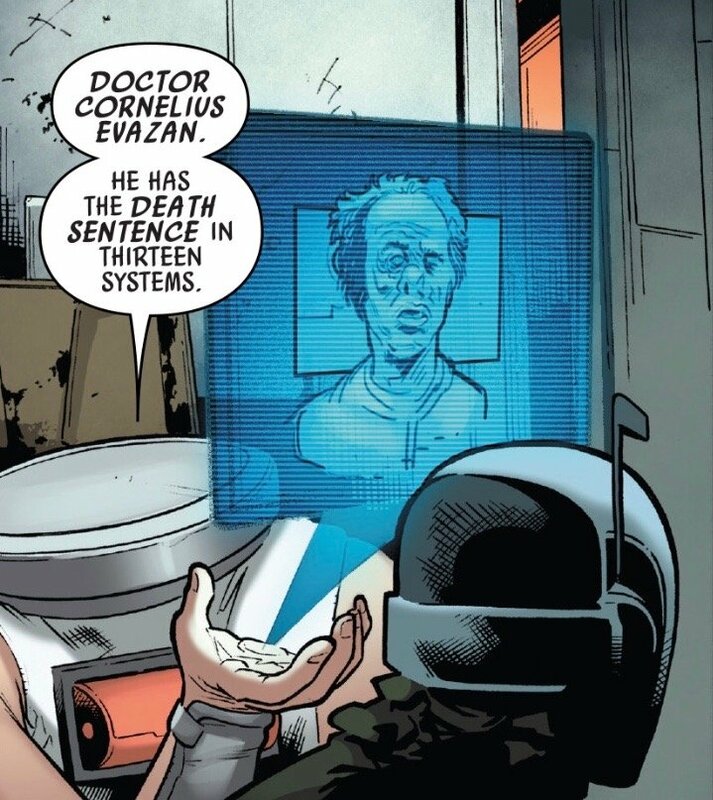 You may remember the doctor, who was always quick to note the death sentences he had in the baker’s dozen of systems. Doctor Evazan! I’ll admit, I’ve never been crazy about the retcon cameo this fella had in Rogue One, but now that the dots are a little more connected, I’ll buy in. We get a pretty up close and personal description of the grisly experiments and modifications Evazan performed on the unfortunate souls that found their way into his lab. 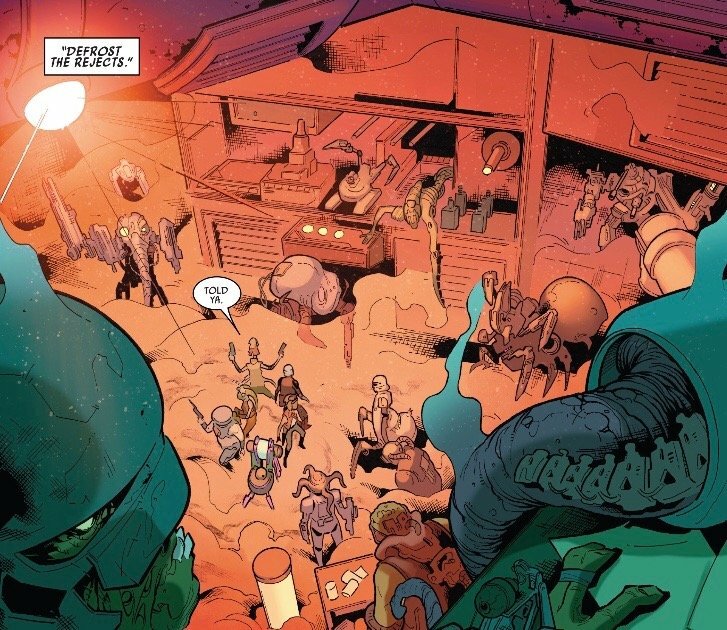 It sounds like he got a lot of enjoyment from their pain, but Aphra remarks that his creations are known throughout the galaxy as being pretty amazing. Posla laments that they almost had Evazan in their grasp on Jedha, until they had to evacuate the city for obvious reasons we readers know. So, next time you watch A New Hope, remember that Evazan isn’t just a jerk who likes to bully naive farm boys, he’s straight up evil. I’d like to think that after Obi-Wan sliced off his arm, perhaps Evazan went home to rethink his life. Okay, well Hivebase-1 is officially at the top of my “coolest Imperial facilities” list. These jellyfish-like creatures, called scaraphytes, serve as a natural defense for this deep space facility. Their physiology is not explained in depth, but you’ll learn they are quite explosive. The Empire has a pre-determined route that allows ships to pass through the school of scaraphytes unscathed. I’m a sucker for this kind of stuff, but you have to admit this is pretty awesome, and enforces that Tarkin – albeit an evil person – was a tactical genius. I assume this installation is armed to the teeth, since the computer core stores so much data and is so powerful it has its own gravity. Kind of makes the installation at Scarif look like a tiny, 8 gigabyte USB-drive. 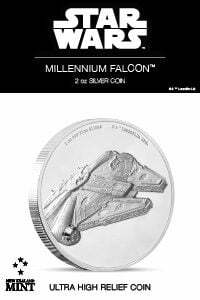 I guess this is why Tarkin didn’t blink when he decided to detonate it. Sorry I keep going back to Rogue One, this issue just reminded me a lot of it, and I guess there are some similarities here to its excellent final act. Kudos to artist Emilio Laiso and colorist Rachelle Rosenberg. As the crew make their way to dock with Hivebase-1, Hera implores Caysin and Posla to reconsider using their talents with the Rebel Alliance. Neither one of them responds, though I could guess if they knew they were working for a murderous droid like Triple Zero (something Aphra is still hiding), they’d probably take Hera up on her offer. 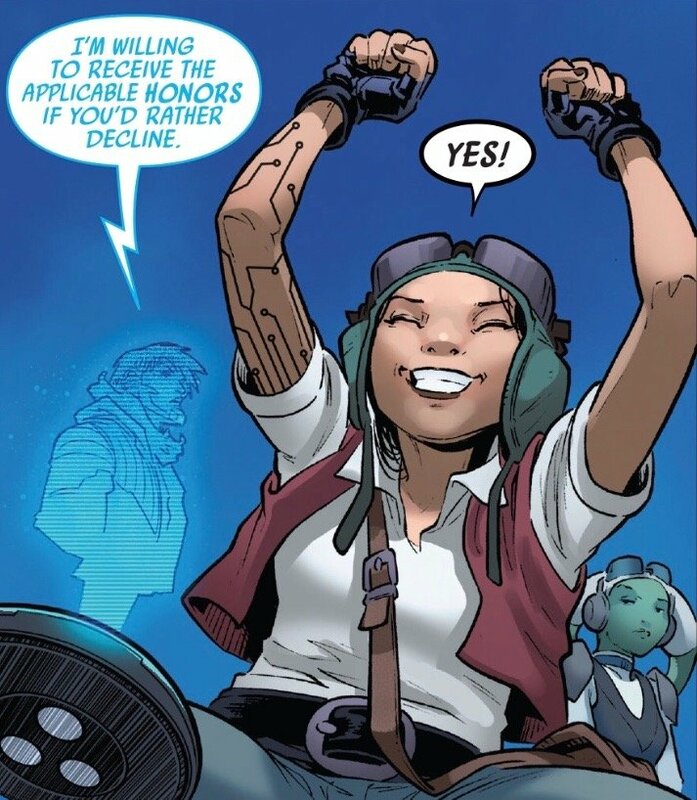 Hera lets them know the Rebellion is most likely on their way to rescue her, but Aphra has known that all along, making reference to the tracker in Hera’s insignia. She claims she’s been jamming it all along, but suddenly, a ship approaches out of nowhere. It didn’t take long at all for the mobile Rebel flight school to find Hera. I don’t doubt they are anxious to make sure their general is safe and get her back in the saddle of training the Rebellion’s pilots. The only problem for the Rebels is that they have stumbled into a heavily fortified defensive zone of the Empire. Right away the scaraphytes start to detonate on their hull, not to mention a squad of TIE Fighters that head towards the troubled craft. Unfortunately, the problems on the outside of the ship won’t be as bad as the ones they have yet to face inside. Once onboard Hivebase-1, Hera realizes exactly what this is. It’s a mausoleum of Tarkin’s worst nightmares. These creations have all been put into deep freeze, I assume to keep them chilled until they are needed. It’s probably the only way to keep these monstrosities contained. There is a lot of visual candy in these pages. 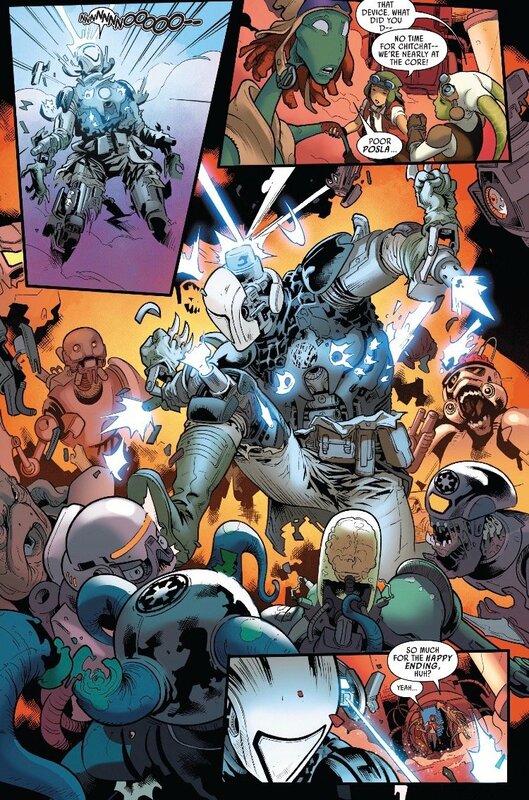 As Aphra points out in the frame above, a wookiee with a railgun for a head is a good example of something most of us haven’t seen in the Star Wars Universe. And that’s just the tip of the iceberg. Aphra is over the moon, viewing these creations from a scientific eye, while Hera is disgusted. 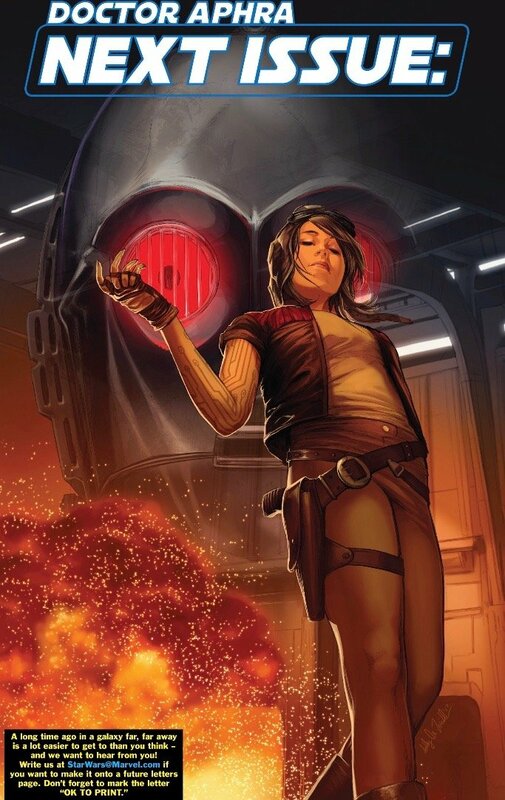 In case you’ve forgotten, as I tend to stray, the whole reason Aphra is here is to slice (hack) the Imperial computer core and retrieve Triple Zero’s complete memories. 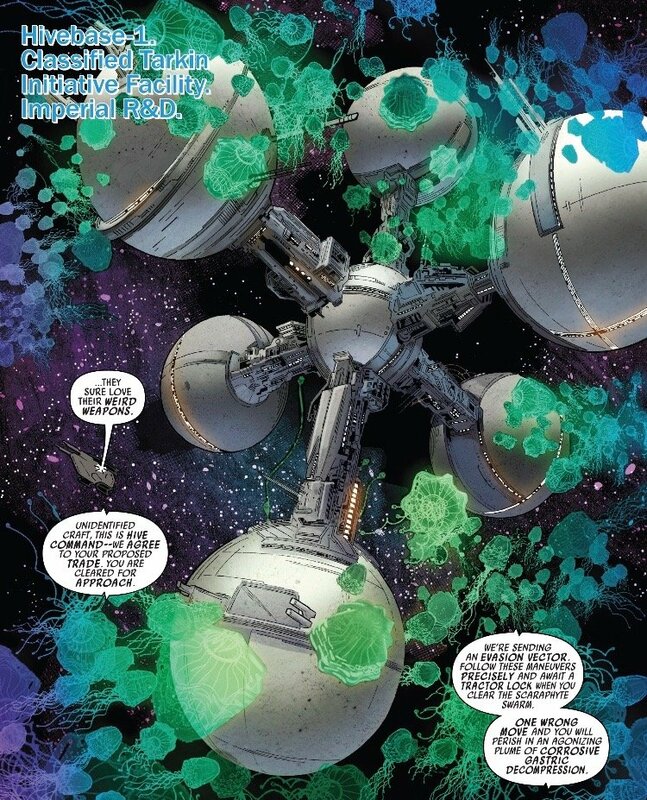 Aphra tells Hera that the Rebellion could make innovations of this type too, to fight Imperial fire with fire of their own, but as soon as Hera starts to tell her why they would never, Aphra puts the frequencies of the Rebel flight school on speaker for all to hear. 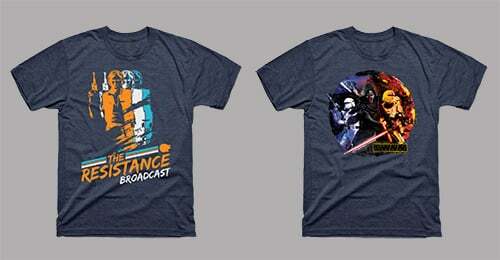 The commander can’t communicate with the X-wings to launch and the ship is being disabled from the inside. Remember the stowaway from the last issue? Tolvan has managed to take out all of the command crew for the Rebel flight school. She’s radioed into her commander, who orders her to destroy the ship via self-destruct while remaining onboard to ensure it’s taken out. 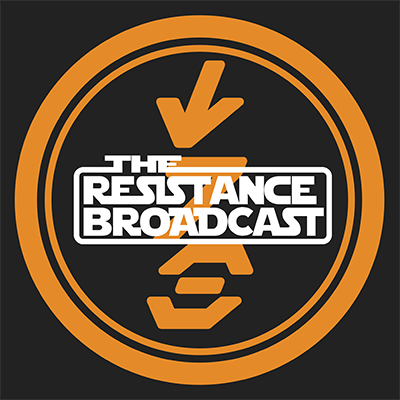 While Aphra monitors the transmission, her joy of hearing Tolvan elevates, then immediately ceases when she hears the order for Tolvan to blow the ship up. As cool as Aphra wants to play it, she’s got feelings for Tolvan and feels the need to intervene, hoping the Imperial officer of her affection will listen to reason. Aphra tries to convince Tolvan that not only should she live, but that if she blows up the ship she will be committing mass murder. As devious as Aphra can be, I think we all know she has a good heart and is more of a morally ambiguous character than an evil one. She’d like to think she can hang with Vader or other big time Imperials, but that naivety of youth wore off once Vader blasted her out of an airlock. She’s a genius and is just someone trying to find her way through the galaxy, not wishing to partake in the business of war between Imperials and Rebels. I think Tolvan sees that quality in Aphra as well, and Aphra’s a mirror for her, which is what we should all hope for in our partners and friends. Tolvan contacts the Imperial commander and informs him that due to a regulation, she is not going to detonate the ship and that its capture – along with the crew aboard – will be much more valuable to the Empire. Ha ha! 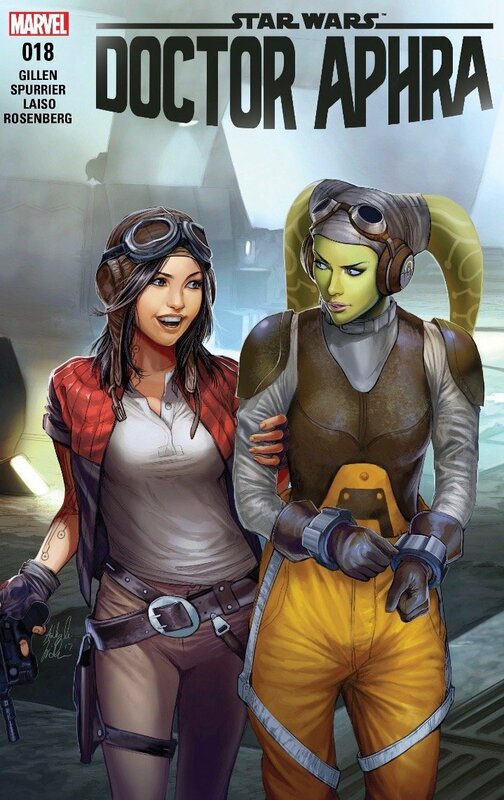 Check out Hera’s icy expression in the background of Aphra’s glee. I didn’t even notice it until I posted it here. Just as Aphra celebrates, Tolvan turns on her and informs the commander Aphra and her crew have infiltrated Hivebase-1. Aphra doesn’t waste time being dismayed about Tolvan’s betrayal, as I imagine she’s aware Tolvan is working out her own moral dilemmas. Aphra and crew have bigger things to worry about, and I’m not talking about a squad of Stormtroopers. Well, the fact that these are ‘rejects’ makes a bit more sense to me as to why they’d be kept on ice at the edge of the galaxy. As these creatures awaken, Polsa is resistant to the idea of killing them, saying they are simply victims that have been mutilated by the Empire. Aphra implores him that they are trained to kill. It takes the death of his partner Caysin to get him to fight, as the cyborg mutations descend on the crew. I feel like the art of this series hasn’t really grabbed me the way other Star Wars series have, but this issue was really something. Emilio Laiso and Rachelle Rosenberg nailed it with several big, dynamic frames like this. I loved every page of this issue. 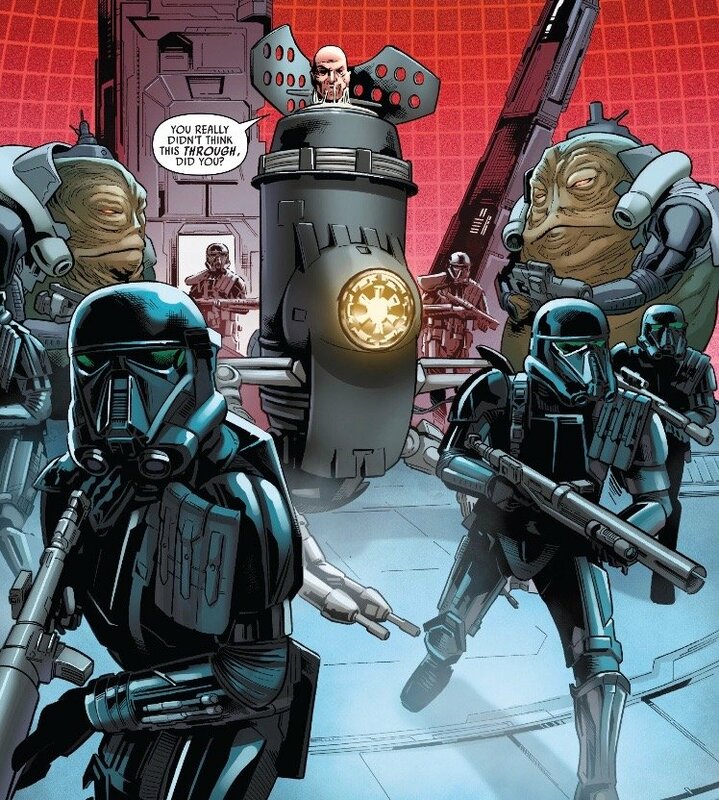 Polsa turns to the fight and provides an opportunity for Aphra, Hera, and Sister Six to make a break for the data archive in the computer core. 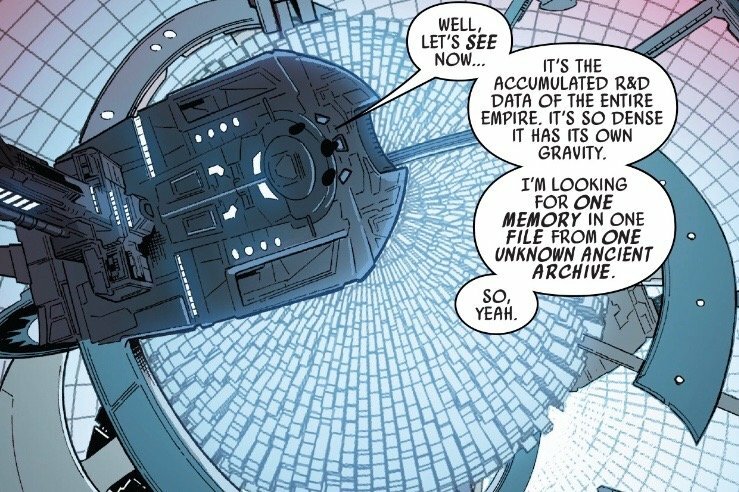 Pretty breathtaking view of the data archive. I love seeing new environments like this, especially when they are on a scale this extraordinary. 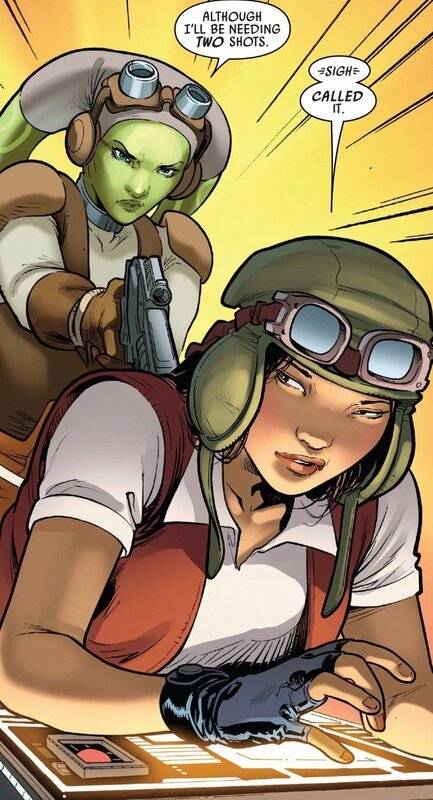 Hera is trying to convince Aphra and Sister Six to give her a gun. Aphra is busy trying to slice into the archive, and Polsa is just behind them, with the rest of the cyborgs to follow. The decision to give Hera Syndulla a gun is clearly made in haste, as well as the need to survive. If I were Aphra, that probably wouldn’t have been my first choice. I think we all called that. Luckily for Aphra, she did too. The momentary control Hera thought she had is taken from her when a volt Aphra must have rigged shocks her grip. Hera tosses the gun in pain, but as they all turn they see it’s not going to make a difference. The rejects have arrived. Only they aren’t after Aphra, Sister Six, and Polsa. They are ordered to capture Hera Syndulla and kill everyone else. Tolvan is monitoring the transmission and looks quite alarmed. I’m predicting she will intervene, judging from the remorseful expression. One thing I shouldn’t try to do is predict Tolvan though, so we shall see. That was one hell of an issue. Lots of great dialogue between the crew and Aphra, and it’s great to see a character as prominent as Hera Syndulla introduced into the mix. I’m loving watching Doctor Aphra’s morality grow, and I’m hoping this journey takes her closer towards working with the Rebellion, rather than the Empire or criminal underworld. The untenable nature of her predicament, essentially being a servant to a psychotic droid, is really stirring up her morals and causing her to embrace and question new things. Writers Kieron Gillen and Si Spurrier have developed these characters nicely over the last couple of issues. I wasn’t sure about the dynamic at first, but now it seems smoother, and that these people are becoming more comfortable with each other. Also, I need to take a second to compliment the fantastic covers of this series by artist Ashley Witter. I look forward to each one. I have a lot of faith this series is just going to get better, not that it’s not great already. You’ll never hear me complaining about Doctor Aphra!